We have a guest Ram visiting the farm, we are "borrowing" him from a friend. Delaney wanted a Suffolk type ram to breed her Tunis ewes for fair lambs next year. Having another ram on the farm, can be tricky. We need to keep him separate from our other rams, to prevent any brawls, and we don't want him with all of our ewes, just a select few for breeding. This is a time when temporary electric fencing comes in handy. We have been able to keep him with a few of the Tunis ewes, without disrupting everything else. 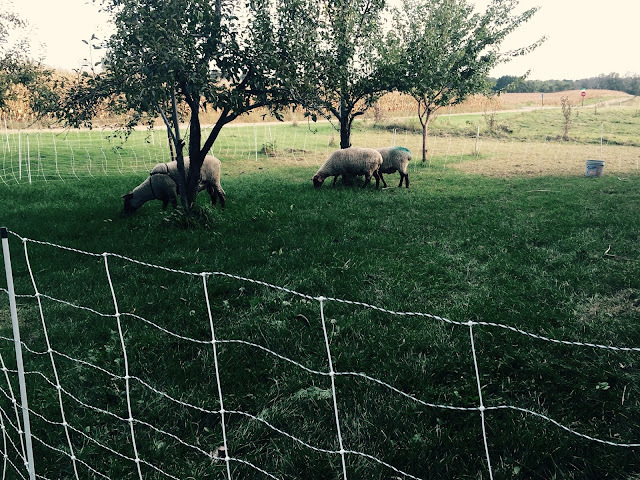 The bonus-they are eating down the overgrown grass in the orchard! The sheep give no mind to the pear trees, unlike the goats, who would devour the trees before they gave a second thought to the grass. The area is almost completely mowed down-sheep make great lawn mowers! The ram will be returned at the end of the week- but for now he is killing two birds with one stone. Good idea. Isn't it nice to have 'dual purpose' animals? Your pear trees sure look a lot better than ours! I love natural mowing machines. Great idea! I always call my goats my lawn mowers! We only have sheep on a very part time basis for 4-H, and since they are 4-H critters they don't get to be my lawn mowers. So I never considered that they'd be less likely to tear things apart when grazing. How handy! 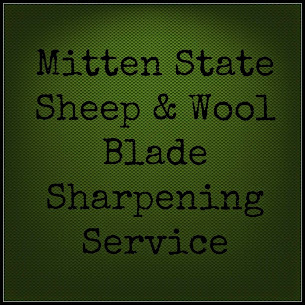 Sheep are the best, I love sending ours into an area that needs to be cleaned up. Lately though the pastures have been keeping them pretty busy.